daily timewaster: German super-heavy cannon Gustav (800 mm caliber, weight 1350 tonnes) at the position in Bakhchisarai (Crimea). 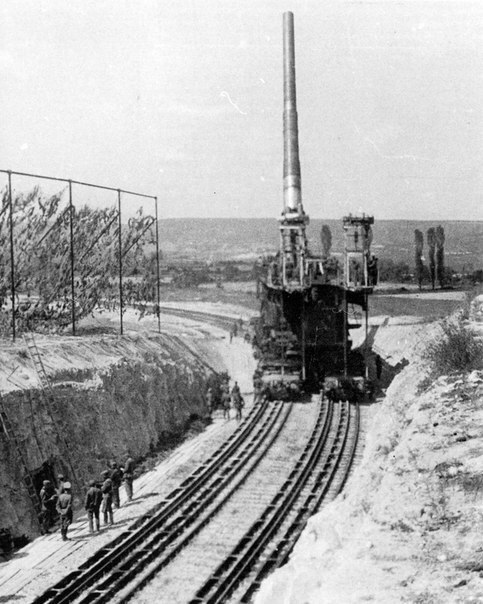 German super-heavy cannon Gustav (800 mm caliber, weight 1350 tonnes) at the position in Bakhchisarai (Crimea). Reloading must have been a real pain.